So I saw a set of vintage darts and loved the shape of them! Since I didn’t have any spare turkey feathers running around I started looking for alternative materials. The milk bottles were on hand so I tried them! I’m really happy with this project and think they are some of the coolest looking push pins I’ve seen! Very nice and kudos on the milk bottle fins. I like them they are cool! BTW at the begging of the video, what are the grey things hanging on the wall? Keep up the great work. 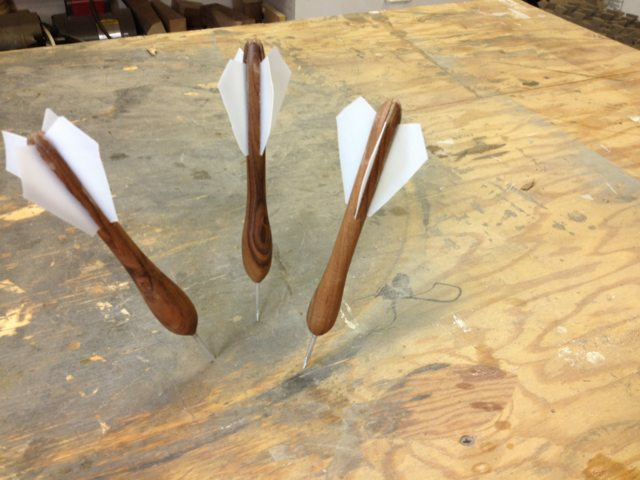 Nice work on making these darts. 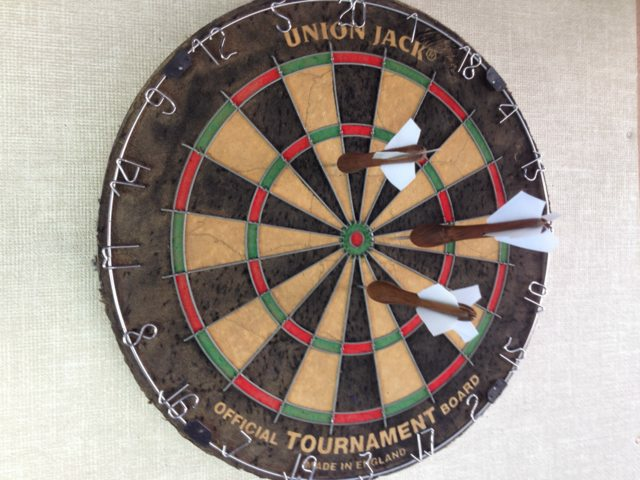 I still have some of these original wooden darts from the 50’s growing up.